You HAVE to see Nico's reaction! 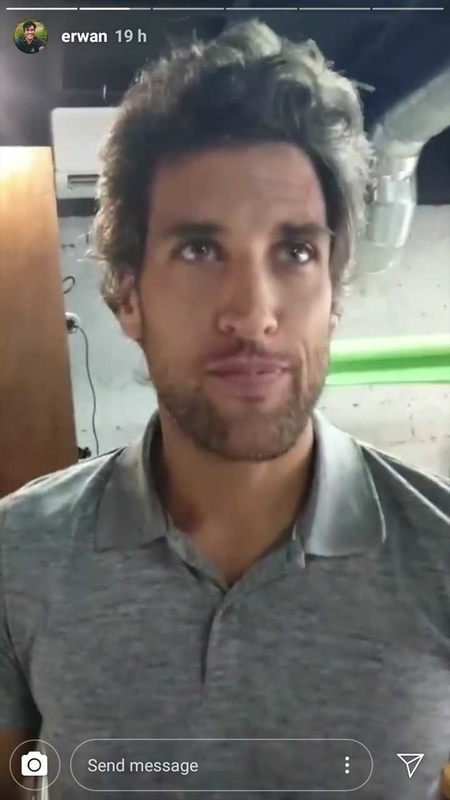 Guys, we have a Bullied Husbands Club update: Erwan Heussaff just pranked co-founder and brother-in-law Nico Bolzico BIG TIME. Through Instagram Stories last night, Erwan showed us a video of Nico ~happily~ eating from a jar of peanut butter. He starts off by asking, "Do you know what I put in there?" 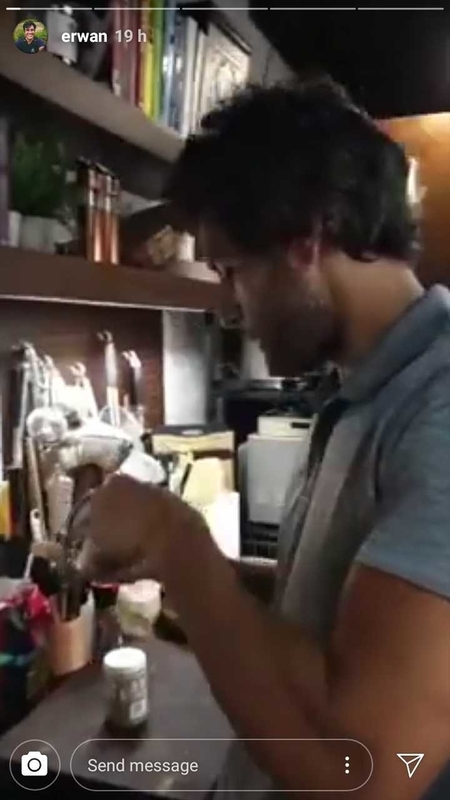 Erwan starts laughing and continues, "I didn't eat it. 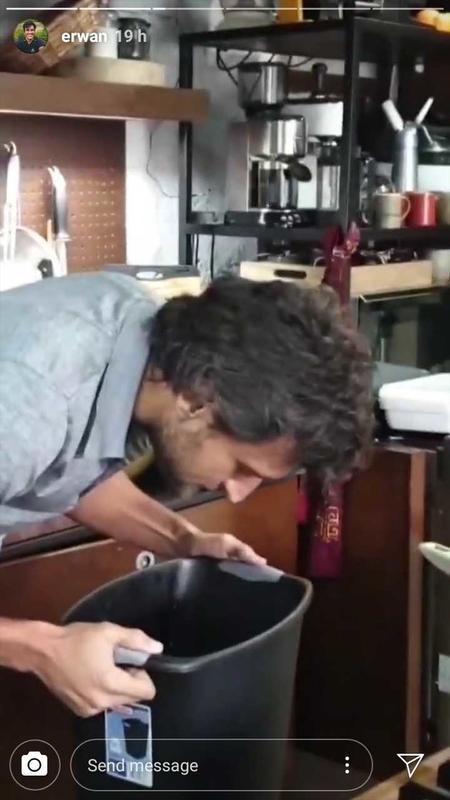 You know what I put in there? I put fish sperm in the peanut butter." Okay, pause. What does fish sperm look like and how would you even get it, right?! Erwan, a content creator with a passion for food, would know! So, the *fish sperm* in peanut butter thing is totally believable. There's actually a Japanese delicacy made out of it called milt or "shirako." "It's okay. 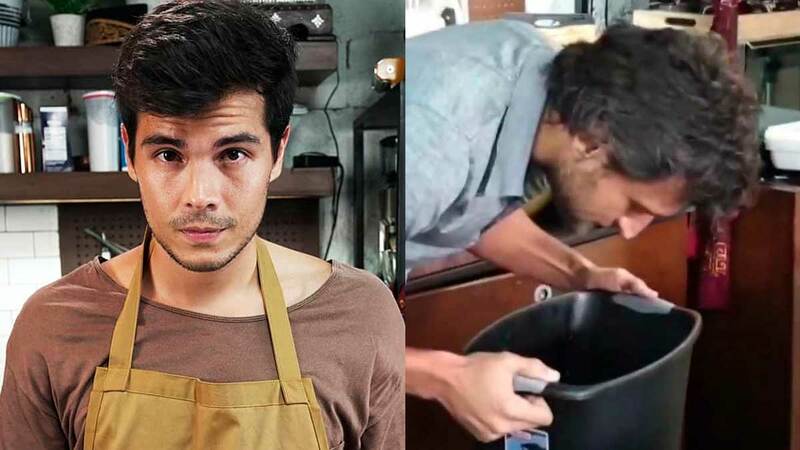 Fish sperm is good for you, Nico," Erwan says, as Nico spits a mouthful out into a wastebasket. "I got the sperm from the tuna. Did you enjoy that? It's all mixed in." Nico was speechless. 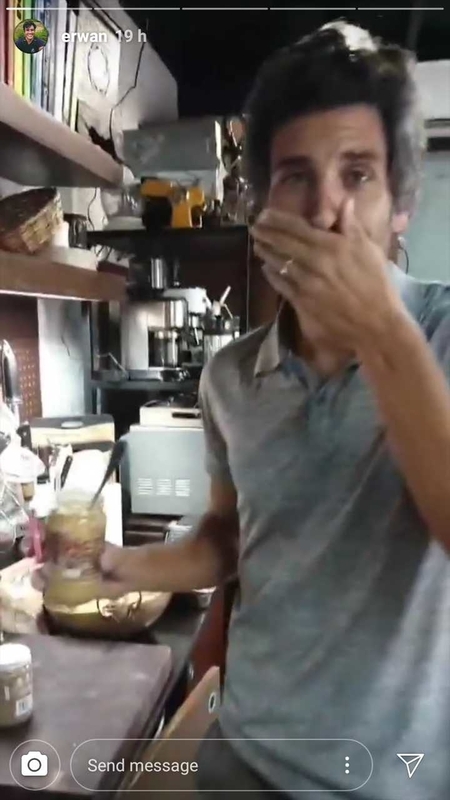 Later, Erwan revealed that THERE WAS NO FISH SPERM in the peanut butter. "It's just to teach Nico a lesson that I can mess with him really bad, and I will get him back really really really badly very soon. I just need ideas." It looks like prankster Nico just got pranked (remember the many epic pranks he pulled on Solenn Heussaff?). 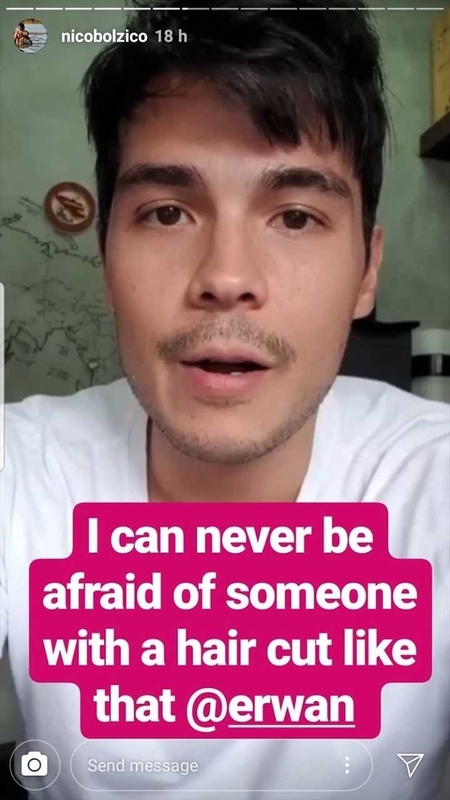 Here's how he responded to Erwan's video: "I can never be afraid of someone with a haircut like Erwan." 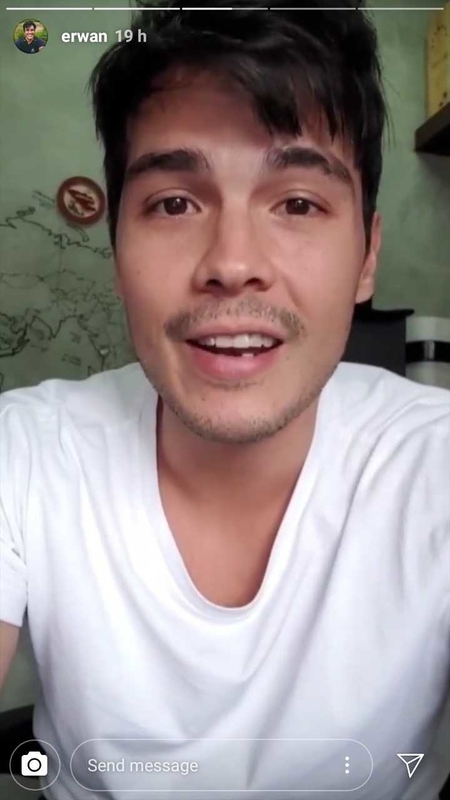 If we remember correctly, Erwan just had a Korean-inspired makeover, care of Anne Curtis. 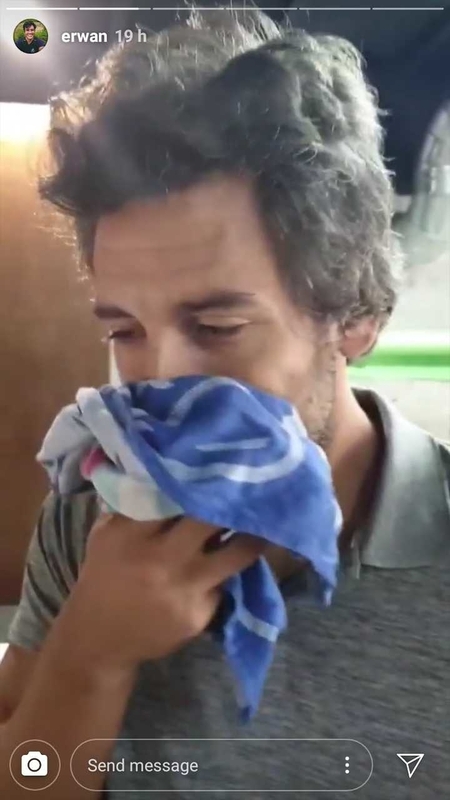 Nico soon apologized for his post because Anne messaged him and said: "STOP IT. HE'S SO HANDSOME!" Nico's conclusion? "You know you are part of the bullied husbands club when your wife is the one stepping up for you! 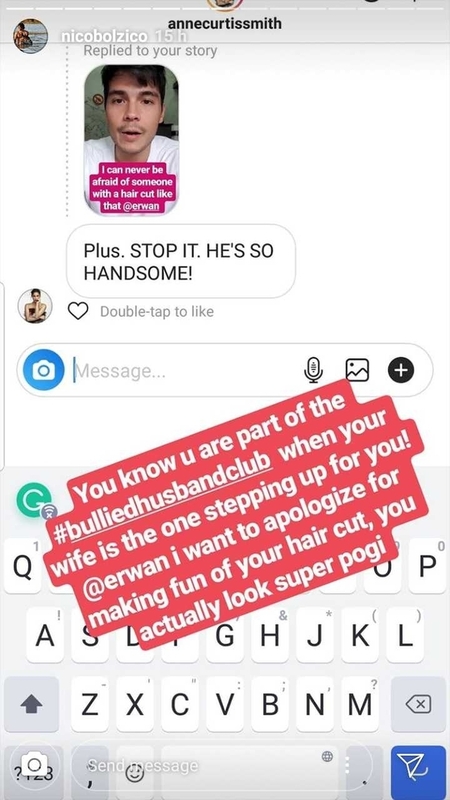 Erwan, I want to apologize for making fun of your haircut, you actually look super pogi!" Just a few days ago, Solenn and Erwan were involved in a hilarious Instagram war, which started when Erwan called SosBolz "couple goals" and "serial killers"! It looks like the war is still on, right? Stay tuned!